Siding replacement is one of the ideal ways to add color to your home. New siding can also improve indoor comfort and protection against the elements. If you’re planning a siding replacement today, it helps if you prepare your home first. As the expert in vinyl siding in Connecticut, Vinylume recommends that you remove all outdoor furniture before the project starts. They include lawn chairs, tables, umbrellas, and plant boxes. You should also have nearby trees trimmed before we install your new siding. If your windows have shutters and/or frost boards, remove them, as well. You should also prepare the inside of your home because siding installation causes wall vibrations. Remove loose valuables, such as mirrors, picture frames, and décor. Move shelves away from the wall to avoid falls or damage. Don’t forget about light fixtures near the job site. Switch off the power to your exterior lights and remove loose fixtures like lamps. You should let the expert install your siding in Connecticut to make sure the process goes smoothly. We follow manufacturer’s guidelines to make sure we install your siding correctly. This way, your home stays safe from elements that cause moisture damage and poor indoor comfort. As an experienced contractor, we will respect your home from start to finish. We’ll even take care of your siding even after installation because we offer a 20-year written labor warranty. We’ll also use high-quality materials to ensure the protection and beauty of your home. CertainTeed vinyl siding in CT comes in various color palettes that complement any architectural style. It also comes in different styles, such as horizontal, shake, shingle, and vertical. You can also choose your own siding size. 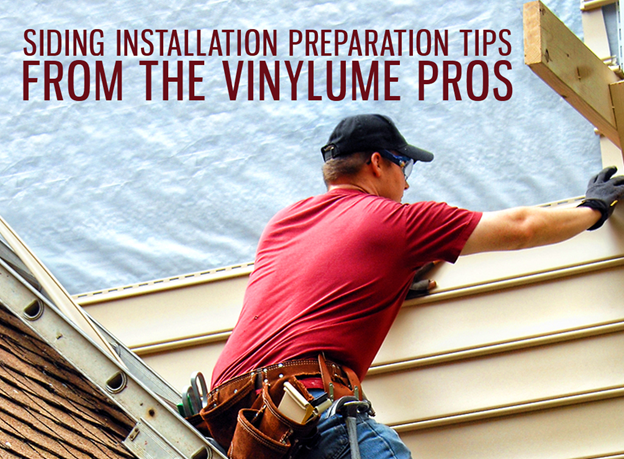 Let Vinylume help you prepare your home for your next siding project. We offer the best materials in the industry to make sure your home is safe and comfortable all year long. Call us today at (866) 244-8029 to schedule a free consultation. You can also request for a free estimate through our contact form.